New London is a seaport city and a port of entry on the northeast coast of the United States. It is located at the mouth of the Thames River in New London County, Southeastern Connecticut. 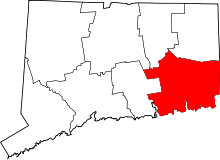 New London is located about 47 miles (76 km) from the state capital of Hartford, 107 miles (172 km) from Boston, Massachusetts, 56 miles (90 km) from Providence, Rhode Island, 85 miles (137 km) from New Bedford, Massachusetts, and about 128 miles (206 km) from New York City. For several decades beginning in the early 19th century, New London was one of the world's three busiest whaling ports, along with Nantucket and New Bedford, Massachusetts. 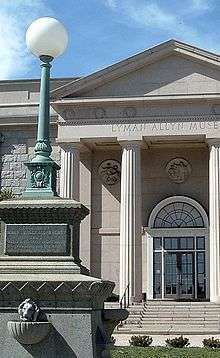 The wealth that whaling brought into the city furnished the capital to fund much of the city's present architecture. New London subsequently became home to other shipping and manufacturing industries, but has gradually lost its commercial and industrial heart. New London is now well known in Connecticut for its wealth of art and it's popular music scene. The city is home to the United States Coast Guard Academy, Connecticut College, Mitchell College, and The Williams School. The Coast Guard Station New London and New London Harbor is home port to the U.S. Coast Guard Cutter Chinook and the Coast Guard's tall ship Eagle. View of New London in 1813. The area was called Nameaug by the Pequot Indians. John Winthrop, Jr. founded the first English settlement here in 1646, making it about the 13th town settled in Connecticut. Inhabitants informally referred to it as Nameaug or as Pequot after the tribe. In the 1650s, the colonists wanted to give the town the official name of London after London, England, but the Connecticut General Assembly wanted to name the town Faire Harbour. The citizens protested, declaring that they would prefer it to be called Nameaug if it couldn't be officially named London. The legislature relented, and the town was officially named New London on March 10, 1658. New London was raided and much of it burned to the ground on September 6, 1781 in the Battle of Groton Heights by Norwich native Benedict Arnold in an attempt to destroy the Revolutionary privateer fleet and supplies of goods and naval stores within the city. It is often noted that this raid on New London and Groton was to divert General Washington and the French Army under Rochambeau from their march on Yorktown, Virginia. The main defensive fort for New London was Fort Griswold, located across the Thames River in Groton. It was well known to Arnold, who sold its secrets to the British fleet so that they could avoid its artillery fire. After overrunning New London's Fort Trumbull, Ft. Griswold was attacked by the British, who suffered great casualties before eventually storming the fort and slaughtering many of the militia who defended it. All told, more than 52 British soldiers and 83 militia were killed, and more than 142 British and 39 militia were wounded, many mortally. New London suffered over 6 militia killed and 24 wounded, while Arnold and the British and Hessian raiding party suffered an equal amount. The Naval Submarine Base New London is physically located in Groton, but submarines were stationed in New London from 1951 to 1991. The submarine tender Fulton and Submarine Squadron Ten were at State Pier during this time. Squadron Ten was usually composed of ten submarines and was the first all-nuclear submarine squadron. In the 1990s, State Pier was rebuilt as a container terminal. On August 23, 2000, the United States Court of Appeals for the Second Circuit decided in Jordan v. New London that "prevent[ing] frequent job turnover caused by hiring overqualified applicants" was legal grounds for disqualifying an applicant seeking a job with the New London Police. Plaintiff Robert Jordan took the Wonderlic Personnel Test as part of the city's application process; his score on that test was above the range required by the police department to legally narrow down the list of who qualify to take the next step in the application process. According to the city, Jordan was too smart to join the police since, in their experience, his intelligence correlated with an increased risk of job dissatisfaction, which in turn led to increased costs in hiring and training. The neighborhood of Fort Trumbull, consisting of about 20 single- and multi-family homes built in the early 20th Century, was demolished in the late 2000s as part of a plan for the economic development of New London. The plan was appealed in a lawsuit that reached the US Supreme Court in 2005, Kelo v. City of New London, which was won by the city. Although the site was to be redeveloped under a Municipal Development Plan or MDP, this has not occurred as of 2014. The desolate landscape of the Fort Trumbull area is considered by many to be a stark example of government overreach and inefficiency. 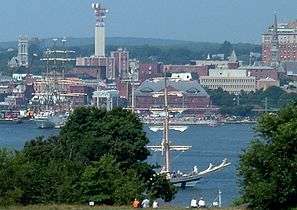 The Fort Trumbull Municipal Development Plan (MDP), approved in 2000, was one of the largest redevelopment projects in the history of the City of New London. The MDP area encompassed approximately 35 acres of development project sites that range from one to seven acres in size, within a total project area of more than 80 acres. The Fort Trumbull District/MDP area is approximately one mile from New London’s Historic Downtown Waterfront District. There were two catalysts for the Fort Trumbull Project: the 1996 U.S. Navy closure announcement for the 32-acre Naval Undersea Warfare Center (NUWC) facility at Fort Trumbull, and the 1997 announcement by Pfizer Inc. that they would be developing their Global Research and Development Headquarters on an abandoned 24-acre mill site adjacent to and immediately south of the Fort Trumbull area. On February 22, 2005, the United States Supreme Court ruled on the case of Kelo v. City of New London in a 5-4 vote, determining that the city may seize privately owned real property under eminent domain so that it could be used for private economic development. The justices decided that the tax revenue from the private development satisfied the requirement for public interest for eminent domain. 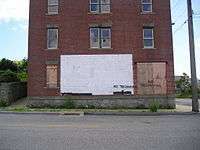 The case was centered around pharmaceutical company Pfizer's efforts to construct a mixed-use complex that included a condominium, hotel, conference center, health club, and stores on the site of private homes in New London's Fort Trumbull neighborhood, in conjunction with a research facility that Pfizer was building nearby. Local homeowners including Susette Kelo challenged this development proposal on the grounds that their properties were being seized for private use, rather than public use, which was inconsistent with the Fifth Amendment of the U.S. Constitution's Bill of Rights: "...nor shall private property be taken for public use, without just compensation." In spite of the city's legal victory, the MDP never got off the ground. The city's chosen redeveloper was not able to get financing for the project. Even though the city expended over eighty million dollars acquiring and demolishing homes, the area where the taken homes once stood remained vacant (as of 2015). In November, 2009, Pfizer announced that they were closing their facility adjacent to the site and moving those operations across the Thames River to their site in Groton. The New London campus was sold to General Dynamics in 2010, who have established design offices at the site. New London Main Street is a non-profit civic organization founded in 1998, devoted to the New London Historic Waterfront District. It runs programs that promote the district's cultural and economic vitality and also campaigns for various initiatives to keep and enhance the district's streetscapes. All of the group's efforts are put toward the preservation of its neighborhood. Theresa Andrews (born 1962), winner of two Olympic gold medals. Harry Daghlian (1921–1945), physicist at Los Alamos National Lab, first person to die as a result of a criticality accident. Kris Dunn (born 1994), college basketball player for the Providence College Friars. ↑ Downey, Kirstin (May 22, 2005). "Nation & World | Supreme Court ruling due on use of eminent domain". Seattle Times. Retrieved October 28, 2011. ↑ "Welcome to New London, Connecticut - Home". www.ci.new-london.ct.us. Retrieved 2016-10-03. ↑ "About Metropolitan and Micropolitan Statistical Areas". Census.gov. August 19, 2008. Retrieved October 28, 2011. 1 2 Lossing, Benson (1868). The Pictorial Field-Book of the War of 1812. Harper & Brothers, Publishers. p. 692. ↑ Richard B. Marrin (1 January 2007). Abstracts from the New London Gazette Covering Southeastern Connecticut, 1763-1769. Heritage Books. p. 242. ISBN 978-0-7884-4171-4. ↑ Frances Manwaring Caulkins, History of New London, Connecticut, from the first survey of the coast in 1612 to 1860, Library of Congress, 1895. ↑ "1911 Encyclopædia Britannica". 1911encyclopedia.org. September 4, 2006. Retrieved October 28, 2011. ↑ "The Battle of Groton Heights & Burning of New London". Battleofgrotonheights.com. August 31, 2006. Retrieved October 28, 2011. ↑ "New London County, Connecticut – County Subdivision and Place". American FactFinder. United States Census Bureau. Retrieved October 28, 2011. ↑ Archived March 14, 2008, at the Wayback Machine. ↑ "NowData - NOAA Online Weather Data". National Oceanic and Atmospheric Administration. Retrieved 2011-12-28. ↑ "New London city, Connecticut – ACS Demographic and Housing Estimates: 2006–2008". American FactFinder. United States Census Bureau. Retrieved October 28, 2011. ↑ "New London city, Connecticut – Selected Social Characteristics in the United States: 2006–2008". American FactFinder. United States Census Bureau. Retrieved October 28, 2011. ↑ 2010. Connecticut's Port of New London. The Connecticut Cruise Ship Task Force, Inc.
↑ "City of New London, Connecticut - Firefighting Division". Ci.new-london.ct.us. Retrieved 2013-07-10. ↑ "City of New London, Connecticut - Ambulance Division". Ci.new-london.ct.us. Retrieved 2013-07-10. ↑ "City of New London, Connecticut - History". Ci.new-london.ct.us. Retrieved 2013-07-10. ↑ "Jordon v. New London". AELE Law Enforcement Legal Center. August 23, 2000. Retrieved 2012-11-29. 1 2 Allen, Charlotte (Feb 10, 2014). "'Kelo' Revisited". Weekly Standard. Retrieved 23 October 2014. ↑ Somin, Ilya The story behind Kelo v. City of New London – how an obscure takings case got to the Supreme Court and shocked the nation. The Washington Post, May 29, 2015. ↑ "Pfizer and Kelo's Ghost Town". The Wall Street Journal. November 11, 2009. p. A20. Pfizer bugs out, long after the land grab. ↑ "A 'wrong turn': From giddy optimism to stunning disappointment". The Day. November 11, 2009. ↑ Baldelli, Ann (24 December 2014). "New Awakening: Congregation left legacy building to find solvency". The Day. The Day Publishing Company, New London, CT. Retrieved 29 December 2014. ↑ "WAIT, John Turner, (1811 - 1899)". Biographical Directory of the United States Congress. Retrieved October 10, 2012. ↑ Keefe, Gavin (March 20, 2015). "Wheeler on Dunn: New London basketball legend talks about legend-to-be". The New London Day. Retrieved August 13, 2015. ↑ Griswold, Wick (2012). A History of the Connecticut River. The History Press. pp. 96–97. ISBN 9781609494056. Retrieved April 13, 2016. Wikisource has the text of The New Student's Reference Work article New London, Ct..